If education is considered as a form of action – and not of production – then the ideas of Hannah Arendt offer varied stimuli for further reflection. The interdependence between personal initiative and plural cooperation, a characteristic of Arendt’s freedom of action, comes clearly to the fore in educational action. For when infused with a genuine passion for ‘culture’, education takes on a dual responsibility that concerns, on one hand, young people and their personal development in freedom and, on the other, the custodianship of our shared world, ever threatened by the changes that they make to it. Thus, the fundamental prerequisite for supporting the new generations in their personal development – which includes education in thinking (recall, imagination and understanding) and in judgment (common sense, exemplarity and discernment) – is amor mundi. And the attitude that must be stimulated more than any other in young people is megalopsychia, or magnanimity. This article intends to face the particular reading that Heidegger gives about the theme of human freedom, as presented in the course of 1930 entitled Vom Wesen der menschlichen Freiheit, in order to further his radical conception of the human being as Dasein and the practical consequences that it entails. In the constant confrontation with the practical reflection of Kant, which Heidegger himself recalls, this article attempts to show how the authentic essence of freedom is for Heidegger not only necessarily positive, as opposed to the negative conception of the same, but at the same time far from the ‘exceptional’ causality, rather than the natural one, that Kant himself claims as transcendental freedom, which only seems to allow a practical freedom, namely an act according to the will, concerning a human being as rational animal. Boethius’s Opuscula sacra, which have received the most attention from the studies of the last 40 years, present numerous unresolved hermeneutical problems. The present work reviews the principal collected interpretations of them since 1974 (the studies of Obertello, Chadwick, Micaelli, Moreschini, Lluch-Baixauli, d’Onofrio, Galonnier, Nash-Marshall, Tisserand) in order to offer the status quaestionis of the major themes of the debate (the definitions of natura and persona, the second axiom of De hebdomadibus, the paternity of the De fide catholica, the meaning of the divisio philosophiae of the De Trinitate, the meaning of the hebdomades, Boethius’s capabilities in logic). A solution for the controversial points, which is based above all on the littera of the texts, will provide not only a new interpretation of the tractates, but also a clearer overall understanding of Boethian speculation, which appears entirely founded on the same theoretical and epistemological presuppositions of the Opuscula. Charles Sanders Peirce dealt with the theme of Will several times, usually when discussing other topics. The treatment of this topic did not remain constant in the course of the years; two different conceptions of the Will can be detected in different moments. The first one is rooted in his attempt to create a semiotic theory of mind. Whereas the thought is identified with a set of signs having a general import, the proper place for volition is found in the aspects of individuality and contingency: Willing is identified with actually acting, that is, with a reaction to the clash of the outward world. The second conception emerged from the interest in the foundations of ethics and relies to the central role of self-control for the normative sciences. The nature of voluntary acts is now to be found in the capability of deliberate long-term planning and of self-correction. The purpose of the article is to examine the notion of totality elaborated by K. P. Moritz in the essay Der letzte Zweck des menschlichen Denkens. Gesichtspunkt, published in 1786. This notion is related to the research of the right ‘point of view’, or the discovery of a core that defines prospectively the multiplicity of objects otherwise indeterminate. Our aim is to show how the determination of Moritz’s totality does not belong to an epistemic field but it is contingent and tied to a horizontal plane of immancence. In this sense, differently from the portrait delineated by a certain historiographic tradition, Moritz is more than a simple ‘precursor’ of Kant. The aim of the paper is to discuss Parm. 132 b3 - c11, i.e. the ‘conceptualist’ argument, in relation to the ‘Third Man’ argument and to the whole dialogue. I deny that the ‘Third Man’ is a conceptualist argument, as recently proposed by C. Helmig, and I maintain that it is consistent with the problematic text of Phaedr. 249 b 6 - c 4. I argue that the passage of the Parmenides actually contains two arguments (not just one), and that the first of them proposes an intentional (not relational) conception of the Form-thought relationship. More in general, I contest that the Parmenides promotes an explicit conceptualist argument in order to reject it, although it is rejected the possibility that forms are not real and separated entities. Finally, I defend the suggestion that the passage is controversial with Antisthenes. According to a decree of April 1st 1272, the Faculty of Arts of the University of Paris imposed to its own members not to debate or determine any theological issues and it pointed out that if they had found texts or argumentations contrasting the truths of faith, they would have considered them completely false. The analysis on the relationship between substance and accident – a philosophical issue – would not concern faith directly, nevertheless when in 1215 the Fourth Lateran Council stated its support for the doctrine of transubstantiation in order to explain the eucharistic conversion, philosophers and theologians had to face a new question: inherence to a subject is part of the essence of an accident? 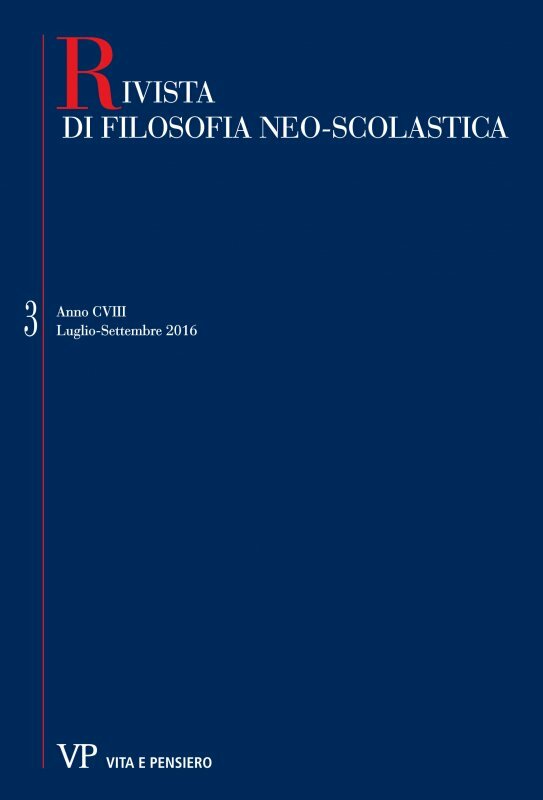 This paper aims to show the relationship between metaphysics and theology in the context of Duns Scotus’s considerations on the accident’s separability from its own substance in the Eucharist. In this paper, speeches of Socrates, Pausanias and Aristophanes are analysed combining them together. This analysis is performed starting from the concept of intermediate (metaxuv) which allows us to construe Pausians’ speech as preparatory with respect to Socrates’ speech, and Aristophanes’ speech as its denial. Indeed, the concept of intermediate is applied to Eros 1) in embryo in Pausianas’ speech (which finally distinguishes two kinds of Eros) and 2) openly in Socrates’ speech. In this regard, the two speeches are connected and they show a progression 1) from a strictly practical and ethical-behavioural level (Pausanias’ speech) 2) to a theorical-metaphysical level based on Eros’ nature (Socrates’ speech). Aristophanes, on the other hand, defines Eros as a desire of total fusion, his view is corrected and downscaled by Socrates enforcing the concept of intermediate.